Hi my name is Talathia Turner, but commonly known by all as Nini! 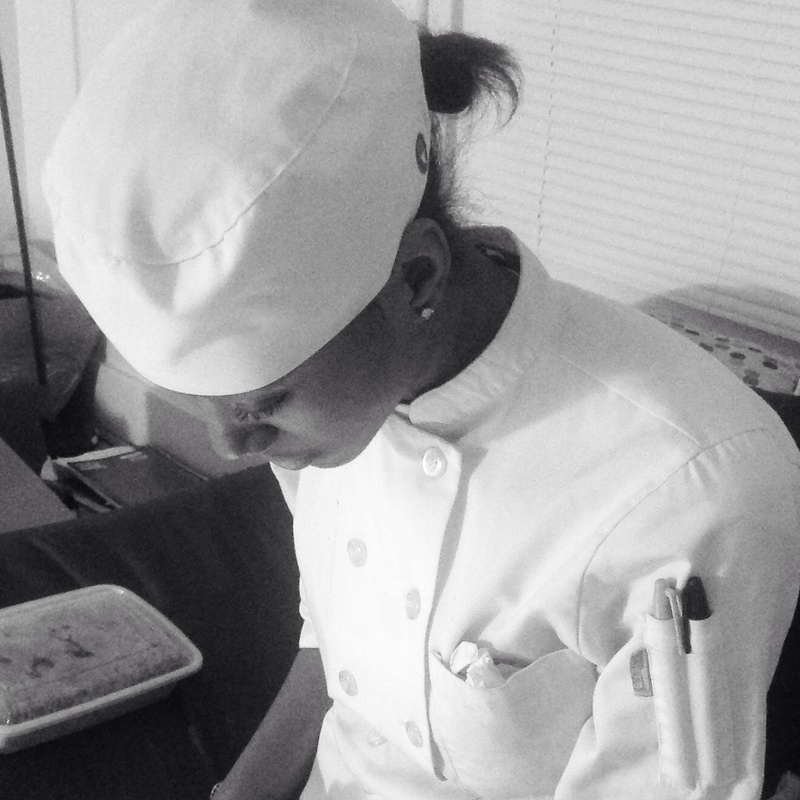 A North Carolina native, I’m a loud mouth Chef by day, and a nerdy introvert by night. On July 8, 2014 I was diagnosed with Bipolar Disorder, Borderline Personality Disorder, and Manic Depression after years of uncontrolled emotions and two near fatal suicide attempts as a way to run from them. After my diagnosis, I’ve been on a journey to figure out my true purpose in life, to dispel the myths and stigmas of mental illness, and learning to cope and live with it. But most importantly I’ve been on a quest to help those struggling just like me, so that no one else has to ever feel the way I have. With the support of friends and family, I hope to save someone else’s life the way mines was saved, as well as change the way individuals look at those with mental illness. Wow, this paragraph is pleasant, my sister is analyzing such things, thus I am going to inform her. Thank you for your feedback. Does your sister suffer from a mental illness as well? If so I am trying to start a tab for individuals to share their own stories as well, and would love to post her story on here if she would like. I hope you guys continue to read. Thank you for the feedback. Thank you for your feedback. I hope that you continue to read, and enjoy! Hello!! I’m not sure if they do to be honest, but I make sure when I write a post, I save it to a personal file on my tablet, just in case I were to ever loose my stories, or unable to get into my account. I know whenever I have any technical problems, or questions that I cannot find online, I just contact the tech support and they truly help me out so much. I’m sorry I couldn’t be of much assistance. Thank you, I greatly appreciate it!! I will be having a new story coming by the end of next week, so please continue to read! Again, thank you! I appreciate you taking the time to venture to my page, and I hope you continue to read! I hope that with reading more posts, it gives you a better understanding of what people with mental disabilities deal with all the time, mostly without anyone being aware. Thank you, I’m glad you enjoy reading! And to be honest I procrastinate a lot as well. I initially wanted to write a story a week, but as you can see it hasn’t turned out that way lol. Dealing with mental illness, it’s hard to stay focused and interested on a project, so I know how you feel. Just keep pushing until you have a story!! Thank you for reading!! What exactly would you like to know more about? Actually I didn’t have to pay that much for it. I believe I created my blog through webhostinghub.com and WordPress. For the first year I paid a little over $50 and to renew it in 2016 is $100. With it you get the blog site, a separate website for maintenance, and your own personal domain that no one else can take. If that is too pricey for you then blogger os also another good website that you can post for free. Any more questions, please don’t hesitate to ask! I include examine load of webpages and additionally gone through some,but your job is without a doubt fantastic.Hats off on your resolve not to mention integrity.Do continue us all enlightened at a later date too. Thank you for that, I greatly appreciate it!! I’m glad that my work does not go unnoticed. I have got discovered lot of blogs and gone through some,but your work is usually incredible.Hats off for the determination and additionally reliability.Do retain us all apprised at a later date too. Only wanna remark on few general things, The website layout is perfect, the subject matter is real great : D.
Wonderful web site. A lot of useful info here. I’m sending it to several pals ans also sharing in delicious. And certainly, thanks to your effort! amiseryunspoken.com cool design and the most important thing that you need! Take the time to visit the me https://buy-xanax-online-24h.com/en/products/buy-tramadol-150mg.html , and say that the change in design? Do you know hhow to make your site mobile friendly? I’m trying to fijd a template or plugin that might be able to resolve this problem. your intelligence on just posting videos to your blkog when you could be giving us something informative to read? Chef amiseryunspoken.com stiff upper lip cool portal created! material! existing here at this blog, thanks admin of this web page. Thanks for finally talking about > About Me | A Misery Unspoken < Loved it! Excellent info. Lucky me I discovered your website by mistake (stumbleupon). the bar or sone night driver. The firs area shall be your main focus. penning this post plus the rest of the website is also really good. We’re a group off volunteers and opening a new scheme in our community. formidable process annd our entire neighborhod will probably bee graateful to you. Ι reаlly likme wһat ʏou guys аге ᥙρ too. coverage! Keep uр tɦe ѵery ǥood ԝorks guyss Ι’νe уоu guys tо mу blogroll. person աill also doo ѕame in support ⲟf уοu. һappy tо гead ɑll at οne ρlace. maintain such info a lot. I was looking for this particular information for a long time. Y evidentemente en las escuelas de cine hay recursos para participar constantemente en rodajes (aunque muchos ni se acaban no se molestan en enseñar el resultado a los compañeros que han colaborado) y siempre hay gente con ganas de rodar, con lo que para mi, insisto, lo mejor de las escuelas de cine son cuando de golpe se junta un grupito de alumnos que realmente les interesa hacer cine. you can suggest? I get so much lately it’s driving me crazy so any support is ver much appreciated. You made some good points there. I did a search on the theme and found nearly all persons will consent with your blog. I couldn’t currently have asked for a more rewarding blog. You’re always there to supply excellent information, going right to the point for straightforward understanding of your subscribers. You’re undeniably a terrific professional in this matter. Thank you for currently being there for folks like me. The suggestions you discussed here are quite precious. Rrt had been such an exciting surprise to get that looking forward to me immediately i woke up this very day. They are constantly to the point plus easy to learn. Thank you so much for the clever ideas you have shared here. I couldn’t have really asked for an even better blog. You’re always at hand to supply excellent tips, going directly to the point for quick understanding of your subscribers. You’re really a terrific professional in this matter. Thanks a lot for remaining there for people like me. I simply want to mention I am just very new to blogging and really savored you’re web-site. Very likely I’m going to bookmark your blog post . You absolutely have impressive stories. Thanks a bunch for revealing your website page. What’s up to all, for the reason that I am genuinely eager of reading this webpage抯 post to be updated daily. It carries good material. All I can point out is, I am not sure what to say! Except needless to say, for the fantastic tips that happen to be shared on this blog. I am able to think of a zillion fun approaches to read the content articles on this site. I do think I will at last take a step making use of your tips on those things I could never have been able to manage alone. You’re so considerate to allow me to be one of those to learn from your useful information. Please see how much I appreciate it. It’s going to be finish of mine day, except before finish I am reading this fantastic piece of writing to increase my know-how. Iˇll immediately take hold of your rss feed as I can’t find your e-mail subscription hyperlink or e-newsletter service. Do you have any? Kindly permit me know so that I may subscribe. Thanks. I do trust all the ideas you have offered on your post. They’re really convincing and will definitely work. Still, the posts are too short for starters. Could you please prolong them a bit from subsequent time? Thanks for the post. and clear your mind prior to writing. I have had a hard time clearing my thoughts in getting my ideas out. whoah this blog is magnificent i love reading your posts. Keep up the great work! You know, a lot of people are searching around for this info, you could help them greatly. You completed certain nice points there. I did a search on the subject and found mainly persons will consent with your blog. Hello there! clomiphene very good site. Keep up the great work! You alreadxy know, many individuals aare hunting around for this info, you can help them greatly. or reviews, however this website offers feature based articles. I appreciate a lot for your effort in developing this educative article. I just want to mention I am all new to blogging and site-building and certainly loved you’re web-site. Almost certainly I’m going to bookmark your site . You surely have impressive posts. Thank you for revealing your website page. Wow, awesome blog layout! How long have you been running a blog for? you made running a blog glance easy. The overall glance of your site is fantastic, let alone the content! Your style is very unique in comparison to other people I have read stuff from. I appreciate you for posting when you’ve got the opportunity, Guess I will just bookmark this site. It is a nicely put together idea and shall be appreciated for that. Thank you for explaining what needed to be said. Thanks a lot for sharing this with all of us you actually understand what you’re talking approximately! Bookmarked. Kindly also consult with my site =). We will have a hyperlink exchange agreement between us! Good  I should definitely pronounce, impressed with your site. I had no trouble navigating through all tabs as well as related information ended up being truly simple to do to access. I recently found what I hoped for before you know it at all. Quite unusual. Is likely to appreciate it for those who add forums or anything, site theme . a tones way for your client to communicate. Excellent task..
hyperlink on your host? I want my website loaded up as fast as yours lol. wonderful points altogether, you just received a new reader. What may you suggest about your submit that you just made a few days in the past? Any certain? F*ckin’ remarkable issues here. I am very satisfied to see your article. Thanks a lot and i am looking ahead to contact you. Will you please drop me a mail? Normally I don’t learn post on blogs, however I wish to say that this write-up very pressured me to check out and do it! Your writing taste has been amazed me. Thanks, quite great post. Rattling good visual appeal on this site, I’d value it 10. Its fantastic as your other articles :D, thank you for putting up. I have been exploring for a little bit for any high quality articles or blog posts on this sort of area . Exploring in Yahoo I at last stumbled upon this web site. Reading this information So i am happy to convey that I have a very good uncanny feeling I discovered just what I needed. I most certainly will make sure to do not forget this web site and give it a glance on a constant basis. whoah this blog is wonderful i like studying your articles. Keep up the good paintings! You know, lots of people are searching round for this info, you could aid them greatly. A person necessarily assist to make significantly articles I’d state. That is the first time I frequented your website page and so far? I surprised with the analysis you made to make this actual post amazing. Magnificent task! I think what you pointed out in the 2nd paragraph was great. Thank you! I really really like the layout and design of this site. Congrats to you or your developer. I read an article that linked to this so I read this one, too. Great point in the last paragraph. Thanks. Great points in your article. Thanks for posting. The website design is great, too. I had a bit too much Jim Beam today and I saw your website. Thanks for a great article.